The Bureau of Indian Standards(BIS) has signed a Memorandum of Understanding (MoU) with IIT- Delhi to collaborate in the field of standardisation and conformity assessment.The MoU was signed by IIT Delhi Professor V Ramgopal Rao and Director General of BIS Surina Rajan. i. According to the MoU, BIS will provide financial support for IIT Delhi for projects and IIT will provide infrastructure support for research and development projects of relevance to standardisation. ii. BIS and IIT Delhi have also agreed to set up a Centre of Excellence in the field of standardisation , testing and conformity assessment. iii. The MoU will remain in force for a period of five years and can be extended further. The 3-day National Cardiology Conference 2019 has been started at Sanjay Gandhi Post Graduate Institute of medical sciences in Lucknow, Uttar Pradesh. i. Vice President M. Venkaiah Naidu was the chief guest of this conference. ii. The conference was organized by Dept of Cardiology. iii. The conference being held for the first time in Uttar Pradesh to provide an opportunity to showcase newer innovations in Cardiology which can help to deliver cost-effective cardiology care for the patients. The 15th edition of the Morocco- US sponsored exercise “African Lion 2019”, took place in Morocco. It was conducted from March 16 to April 7,2019. The annual Military exercise materialized in the region of Agadir,Tifnit,Tan-Tan, Tata and Ben Guerir with the participation of thousands of military personnel. i. The drills include training on Counter terrorism operations,land and air exercises and also tactical stimulation. ii. It was jointly organized by the United States Command for Africa (AFRICOM) and Moroccan Royal Armed Forces (FAR). 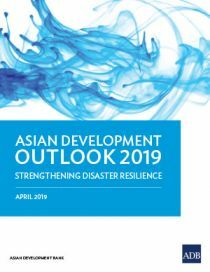 According to a recent Asian Development Bank’s (ADB) report titled ‘Asian Development Outlook 2019: Strengthening Disaster Resilience’, around 26 trillion dollars from 2016 to 2030, or 1.7 trillion dollars investment needed per year to build disaster-resilient infrastructure in Asia. i. This is because Developing economies across Asia are among the most vulnerable to natural disasters and have suffered damages of around 644 billion dollars since 2000.
ii. Of these, approx 507 billion dollars wasted for weather-related hazards while the remaining 137 billion dollars wasted for geophysical hazards. For promoting the adoption of Unified Payments Interface (UPI), the National Payments Corporation of India (NPCI) has reduced the transaction fees up to Rs 1,000 by 60%. i. For UPI transactions up to Rs.1,000, the charge has been cut to 10 paise from 25 paise, and for transactions above Rs.1,000 has been retained at 50 paise. ii. This will help the service providers like banks and third-party applications to boost UPI and at the same time will also help the consumers in the long run as more cash backs and incentives can get offered. iii.At present Google Pay, Paytm and PhonePe are aggressively promoting UPI by offering case back and other benefits. Under “Category II Alternate Investment Fund” (AIF), for the first time SEBI (Securities and Exchange Board of India) has approved an “airport’ specific fund“. The name of the fund is “Taking Off To the Future Airport Fund“. It can raise a capital amounting to 1.5$bn (Rs. 10,000 crore). i. The Sponsor and Investment Manager of the fund is based in Chennai and is termed as ‘Taking Off To The Future Investment Management LLP’. ii. Gigi George leads the management and operation of ‘Sponsor/Investment Manager’. iii. A minimum capital contribution of Rs. 3500 crore and a maximum of Rs. 7000 crore is targeted by the fund. iv. India is presently the third largest aviation market in the world. The regulator for the securities market in India is the Securities and Exchange Board of India (SEBI) (established in 1988). On 12th May 1992, it became an autonomous body by the Government of India. Through the SEBI Act, 1992, it was given statutory powers on 30 January 1992. On 10th January 2017, Ajay Tyagi was appointed as the chairman of SEBI by replacing U.K. Sinha. A new seller-funding programme named “Amazon Wings” has been launched by Amazon Indiain partnership with Mumbai based Ketto, a crowd-funding platform to help the small businesses and entrepreneurs to raise funds through latter. i. With this initiative, the small businesses and entrepreneurs of this platform can raise the funds for their business expansion, product development, and foster innovation or community development. ii. Amazon India sellers can use the Ketto’s platform for a subsidized fee which is around 50 percent to initiate fundraisers. For the 4th consecutive time, the Northern Command based in Udhampur has won the 15th edition of General J J Singh air weapon championship. i. Between 25th March to 3rd April, the championship was conducted at Army Marksmanship Unit, Mhow inMadhya Pradesh. ii. The objective of the competition was to train young male and female army-officers for effective participation in national and international shooting competitions. More than 100 male and female Indian-Army shooters competed in the 10-metre air rifle and air pistol categories. iii. The winning team bagged the overall inter command championship by clinching “Burma Shell Trophy” after competing against 9 other teams . iv. The winning team also won the women’s overall trophy with 1 gold and 3 silver medals individually. Tata Steel bagged the “Global Slag Company of the Year” award at the 14th Global SlagConference and Exhibition 2019, for its innovative practices in the development of new applications for Steel by-products (Slag). The conference was held recently in Aachen, Germany, and is one of the largest global annual slag events, attended by major steelmakers, steel mill service providers & associated companies. A Scholar of Pali, Dr. Gyanaditya Shakya, has been honoured with the Presidential Award of Maharshi Badrayan Vyas Samman 2019 with prize money of INR 1,00,000 and a certificate. He accepted award from Vice- President of India M Venkaiah Naidu. i. Dr. Shakya was conferred the award for his outstanding contribution in the field of Pali language and literature. ii. He was selected for the award by the department of Higher education,Ministry of Human Resource Development,Government of India for his five books namely Bauddha Dharma Darshan Mein Brahmavihara Bhavana, Anagatavasa, Chakesadhatuvasa, Panca+gatidipani and Gandhavasa. Larsen and Toubro (L&T) has received the approval to acquire up to 66.15 percent stake in the Bengaluru-based IT services firm Mindtree from Competition Commission of India (CCI). i. Around Rs 10,800 crore is the estimated total deal value. ii. After the announcement, Mindtree board constituted a committee of four independent directors headed by Apurva Purohit to review the open offer and advise stakeholders whether to go for open offer or not.